Welcome Back! Fun & Fancy Free is a Disney classic. It is the 4th package film and the 9th film in the Walt Disney Animated Classics. It was released September 27, 1947. It was produced by Walt Disney and distributed by RKO Radio Pictures. 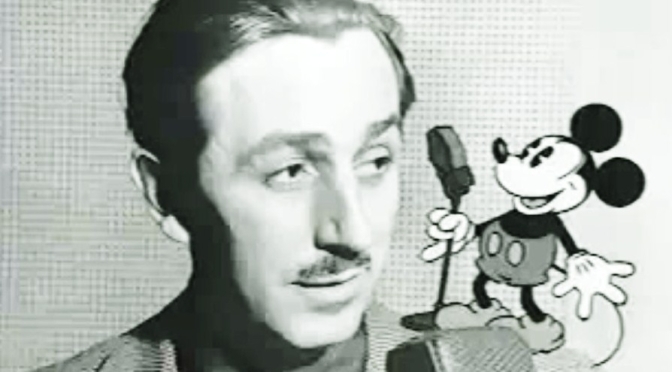 Fun & Fancy Free was the last time Walt Disney voiced Mickey Mouse. 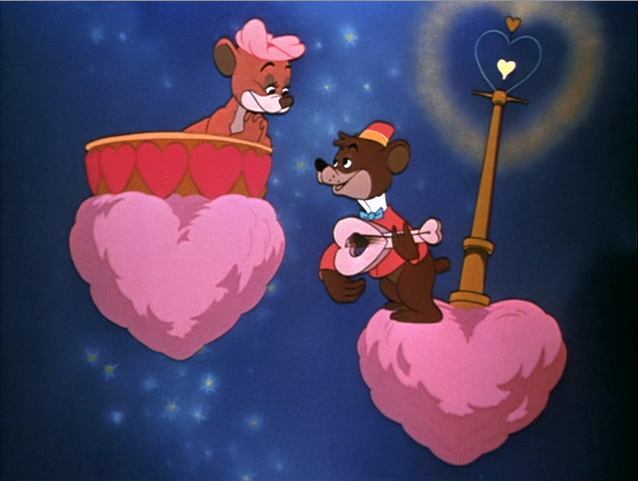 The film has two segments: Bongo and Mickey and the Beanstalk. Fun and Fancy Frees animation was directed by Jack Kinney (Pinocchio, Dumbo, Saludos Amigos-The Adv. of Ichabod & Mr. Toad, Peter Pan), Bill Roberts (Snow White-The Three Caballeros), and Hamilton Luske (Snow White-Fantasia, Saludos Amigos, Make Mine Music, Melody Time, Cinderella-Lady and the Tramp, Mary Poppins). Fun and Fancy Frees live-action was directed by William Morgan (Lassie, Song of the South, Gift From Havana). 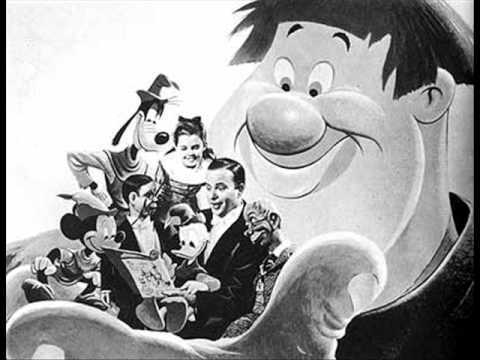 Fun and Fancy Free was written by Homer Brightman (Saludos Amigos-Cinderella), Eldon Dedini, Lance Nolley (Fantasia, The Three Caballeros-Lady and the Tramp), Tom Oreb (Pinocchio, Make Mine Music, Alice in Wonderland, Sleeping Beauty, 101 Dalmatians), Harry Reeves (Saludos Amigos, Melody Time-Cinderella), and Ted Sears (Snow White, Pinocchio, Saludos Amigos, The Three Caballeros, Melody Time-Peter Pan, Sleeping Beauty). The original treatment stayed the same, but there are a few deleted scenes. For example, Mickey takes a cow to the market where he meets Honest John and Gideon (Pinocchio) who convince him to trade the cow for the magic beans. Another version had Mickey give the cow to the Queen (Minnie Mouse) as a gift and in return, she gave him the magic beans. Both scenes were cut once the story became Fun & Fancy Free. After, Dumbo was complete, production began on Fun and Fancy Free. Since, it was a simple, low-budget movie only 6 months and 50 minutes, the Happy Valley scene was animated. Then because, of the Disney strike and World War 2, the movie was put on hold. Then production was started on Bongo. It was suggested that Bongo could be a prequel to Dumbo and some of the cast from Dumbo would appear as supporting characters, but the idea never materialized. In earlier drafts, Bongo had a Chimpanzee friend and partner in his circus act. The character called Beverly and then Chimpy was dropped. Chimpy and Bongo met two mischievous bear cubs, but they were dropped also. The designs were originally realistic, but once it was paired with Fun & Fancy Free, it became more simple and cartoon-like. The script was almost complete the day after the attack on Pearl Harbor. That same day, the army came and took over all production. That caused Bongo, Peter Pan, Alice in Wonderland, The Wind in the Willows, Song of the South, and The Legend of Happy Valley to be on hold. 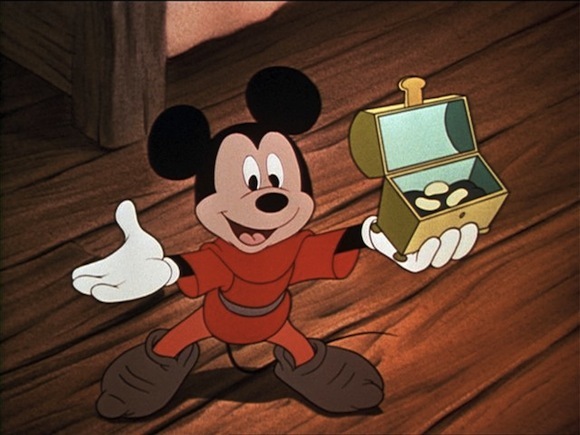 The military asked Disney to make propaganda and instructional films. During and after the war, Disney didn’t make single narrative films, but package films due to costs. He did this until he had enough money to make a single narrative film again (Cinderella- 1950). 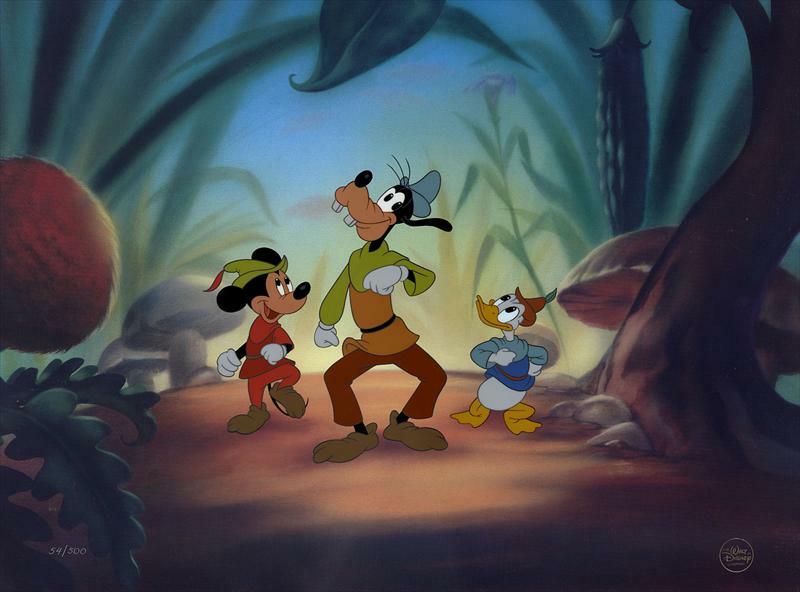 Disney felt that Bongo and The Legend of Happy Valley (Mickey and the Beanstalk) was not sophisticated enough to be a Disney animated feature film, so the artists made them it into package films. 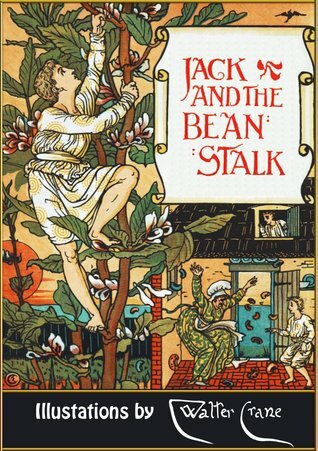 Originally, Mickey and the Beanstalk was to be paired with The Wind in the Willows under the title, Two Fabulous Characters. Instead, Mickey was cut and paired with Bongo. Two Fabulous Characters was changed to The Adventures of Ichabod and Mr. Toad. The box office was 2.4 million. The music is by Oliver Wallace (Dumbo, The Adv. of Ichabod and Mr. Toad-Lady and the Tramp), Paul Smith (Snow White-Fantasia, Bambi-The Three Caballeros, Melody Time, Cinderella), Eliot Daniel (Make Mine Music, Melody Time, So Dear to my Heart), and Charles Wolcott (Pinocchio, Bambi-Make Mine Music, Adv. of Ichabod and Mr. Toad). Clarence Nash as Donald Duck; Voices Donald in shorts, Saludos Amigos, The Three Caballeros, etc. 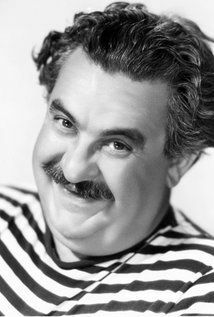 Pinto Colvig as Goofy; Voices Goofy in Shorts & Pluto, Doc and Sleepy in Snow White, etc. 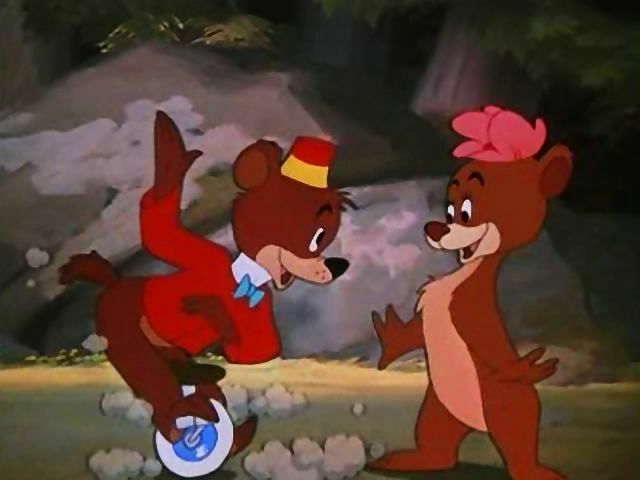 Bongo was inspired by a story written by Sinclair Lewis, which appeared in a 1930 issue of Cosmopolitan; “Little Bear Bongo.” Sinclair Lewis was the first writer from the United States to win a Nobel Prize in Literature. 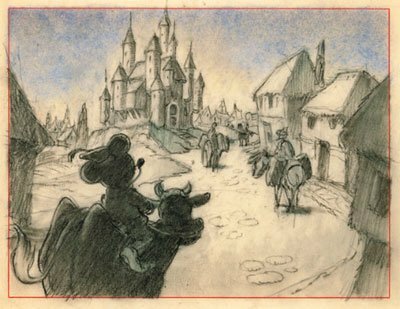 Originally, Sterling Holloway was to be the narrator in Mickey and the Beanstalk segment. 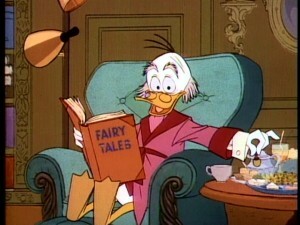 (Also, in other versions (I’m guessing edited) Professor Ludwig Von Drake narrates the segment. Willie the Giant appears in Mickey’s Christmas Carol in 1983. Early drafts for Mickey and the Beanstalk, include Willie the Giant having a wife and a baby. Mickey, Donald, and Goofy would end up taking care of the baby. Also, the hen who laid the golden eggs was present. The film had fairly decent reception. It helped finance Cinderella, Alice in Wonderland, and Peter Pan. I couldn’t find any controversy toward this movie. There isn’t any confirmed location or time. The Bongo segment seems sort of “modern” and in the United States. So, the Bongo segment is most likely set in the US in the 1940s. 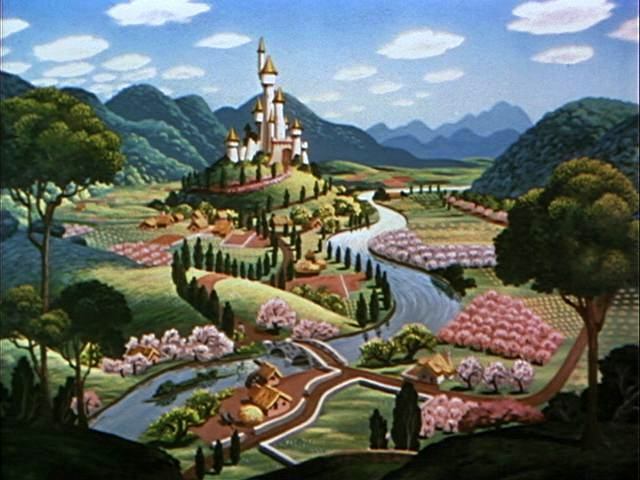 Mickey and the Beanstalk segment are set in Happy Valley. There isn’t any real place (similar to Fantasia). It’s just in its own magical kingdom. It’s possible it’s set in the 1800s since that’s when the original story took place, but there isn’t any evidence to support that theory. 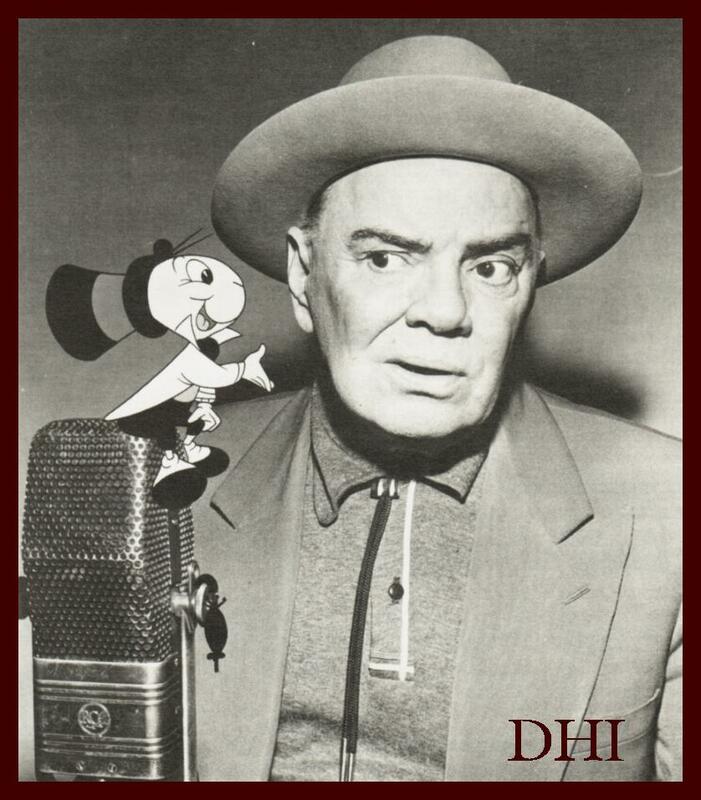 Mickey Mouse: The hero of the movie wants to save the Golden Harp from Willie and save Happy Valley. Donald Duck: Mickey’s side kick in the movie is very hungry. Goofy: Mickey’s other side kick in the movie, is very clumsy. Jiminy Cricket: Our favorite cricket is back and he helps narrate some of the movie. Willie the Giant: The villain of the movie; Very powerful and knows magic, but he isn’t very smart. He wants to keep the Golden Harp. Golden Harp: A golden musical harp with a beautiful voice. She keeps the land happy. Bongo: A bear cub who escapes the circus. He falls in love with Lulubelle. Lulubelle: Bongo’s girlfriend and a sweet bear cub who only loves Bongo. Lumpjaw: The villain of the movie. He wants Lulubelle all for himself. Fun and Fancy Free: This song plays over the introduction credits. 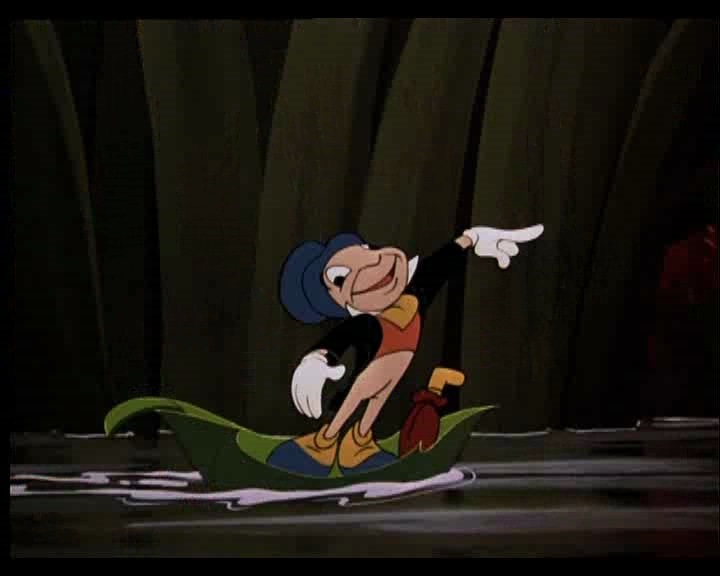 I’m a Happy-Go-Lucky-Fellow: This song introduces us again to Jiminy Cricket. Lazy Countryside: This song is used when Bongo is discovering the countryside. Too Good to be True: This song is used to show Bongo and Lulubelle fall in love. Say it With a Slap: A song to show the bear’s affection. My, What a Happy Day: The song the Golden Harp sings to keep the kingdom happy. Eat Until I Die: The song Goofy and Donald sing while they wait for Mickey to bring some food. Fee-Fi-Fo-Fum: The catchy song the Giant sings to use his magic powers. My Favorite Dream: The song the Golden Harp uses to put the Giant to sleep. We see Jiminy Cricket again. Jiminy Cricket finds a record with the name Bongo on it, and plays it. We meet Bongo, who is the star of the circus, but he isn’t treated like a star once the show is done. He’s chained, locked up, and abused. Most, of all he’s sad once the curtains come down. Bongo escapes the circus and goes into the wilderness. After, discovering the countryside, Bongo decides to go to sleep, but becomes terrified. The next morning, after some problems, he sees the lovely Lulubelle. Then the love scene happens. Then Lumpjaw comes along. Lulubelle slaps Bongo to show her affection, but he misunderstands, thinking Lulubelle doesn’t like him. Then she accidently slaps Lumpjaw and he misunderstands, thinking Lulubelle to like him. She thinks Bongo isn’t interested, because he did not slap her back. Then Bongo understands, and he beats up Lumpjaw. Then Lumpjaw falls off a waterfall, presumably to his death. Bongo survives, everyone cheers, Bongo and Lulubelle slap each other, and everyone lives happily ever after. That’s the end for the first segment. Then Jiminy Cricket goes to hear the next story where he meets Luana, puppets, and Edgar Bergen. Edgar tells the next segment: Mickey and the Beanstalk. I like the first part of Bongo where it shows sort of the cruelty of the circus. It gives it a realistic feel and I think it was sort of daring, especially in the 1940s. I could imagine that they wouldn’t be allowed to speak about the troubles of the circus. The rest of the Bongo segment is funny. Bongo and Lulubelle are adorable characters. Some of the music is really good. Luana is a good actress. Both narrators are great. The second half: The Mickey and the Beanstalk are fantastic. It has great animation, great characters, beautiful music, and a wonderful story. It could’ve been a great movie by itself, if they had made it longer. Its full of suspense and charm, and it’s just wonderful. The first part with Jiminy Cricket isn’t really necessary. It could’ve saved time by excluding it. The rest of the Bongo segment is really weird. Basically, two little bear cubs fall in love, and then a big bear comes along, and attempts to ruin the relationship. One of the reasons it is weird is because Bongo and Lulubelle are little, and Lumpjaw is an adult. So, it’s weird he’s interested in a little girl bear. Then they slap each other to show affection. I think the movie would’ve been stronger if they chose another segment, because the Mickey and the Beanstalk is really good, but the Bongo segment is forgettable and weird. Then there is a grown man, some puppets, and a little girl together. The whole part is just really creepy and completely unnecessary. I think that they should’ve gone with Sterling like they were originally going to do for the narrator. I wish that they had kept the segment where Mickey meets Queen Minnie, and she gives him the beans. It would’ve explained where Mickey got the beans and it would’ve provided some backstory. Also, it would’ve been great to see Minnie especially since she’s one of the few original characters that aren’t in the Disney animated canon. The only other characters are Pluto and Pete, even Daisy is in one of the movies. While, Mickey may be the main character, it’s really Donald that is the star of the show. Donald is hilarious and his reactions to everything are great. Donald literally goes crazy and wants to kill everything on sight. My favorite song is My, What a Happy Day. The song is incredibly catchy and it has great animation. The Golden Harp has a beautiful voice. 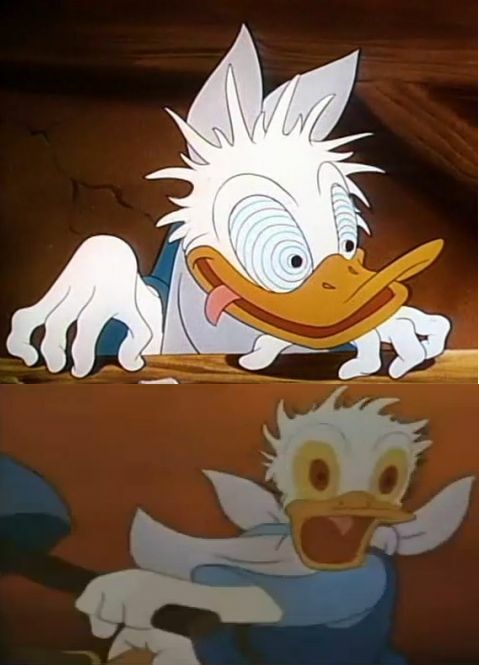 My favorite scene is when Mickey comes back with magic beans, and Donald literally goes crazy. The scene is hilarious. He gets really upset with Mickey and you feel so bad for all three. Then, the next movie would’ve been Alegres Vacaciones, but I can’t find the movie. There isn’t even a Wikipedia link on it. The only thing I know about the film is that it was released in 1948 in Spain. It was traditional. It was directed by Jose Maria Blay, Guido Leoni, and Arturo Moreno. The movie that I’ll actually be doing next time is the Disney classic Melody Time. It is the 5th out of the 6th package film. It was released in 1948. It is half live-action and half traditional. I’ve seen it before, but I don’t really remember anything about the film. I know some people today feel the Bongo segment promotes domestic abuse in marriages/relationships, but I personally feel it just showed a funny way that bears in this universe showed affection. But, I’m not all that fond of this film anyway. Really? lol I didn’t see it that way lol. 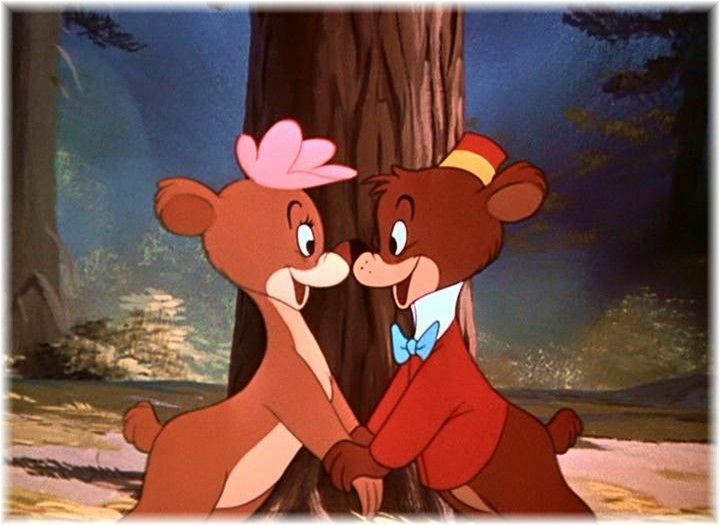 I heard (I’m not sure how true it is though) that some bears actually hit each other during courtship. I’m not either, besides the Mickey part lol. The connective segment is especially bad, the worst Disney has ever done, even worse than in Fantasia 2000 and that is saying something. It is so random and strangely creepy. I guess those people were kind of well-known in the US back then but otherwise there are grown up men trying to entertain one little girl. WTF? Who thought that this would be a good idea? You know, I never saw ANY of those package movie when I was a child, Instead I had most of the shorts separated from each other, each of them with Walt Disney in a library doing a short introduction beforehand. That’s a way better solution. I would’ve loved to see Mickey in Fairy Tales. I need to watch The Brave Little Tailor again. I don’t really remember it. I figured Willie didn’t use his magic because he wasn’t really smart, and the idea never occurred to him. He also had a temper lol. Yea it was really weird to watch. 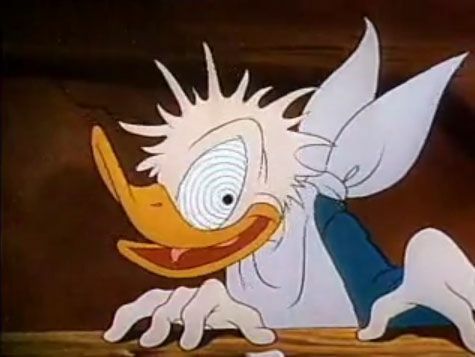 In other releases, they had the Professor Ludwig duck, which is what I grew up on seeing. The same here besides Saludos Amigos. I’m glad I didn’t see the package films the full way, because most of them are weird together. I feel bad for the people in the 40s. I wish they had done that, but oh well lol. This was a great article, but I don’t really agree with everything said. I actually love the entire film and I was raised watching Bongo together with Mickey and the Beanstalk. I love the way that Jiminy Cricket is in it narrating it. His presence seems to really connect the two segments of the film, which otherwise have absolutely NOTHING to do with each other. In other words, I think that if Disney was determined to put Bongo and Mickey together, he NEEDED Jiminy to really connect the two segments. Personally, as well, I’ve always thought that Bongo was better than Mickey and the Beanstalk, but I never really thought about the fact that Bongo and Lulubelle are kids while Lumpjaw is an adult until now… Lol. Anyhow, GREAT article and good read. Thank you. 🙂 and of course you’re entitled to your opinions lol. My thoughts are only my opinions as well lol. Thank you.